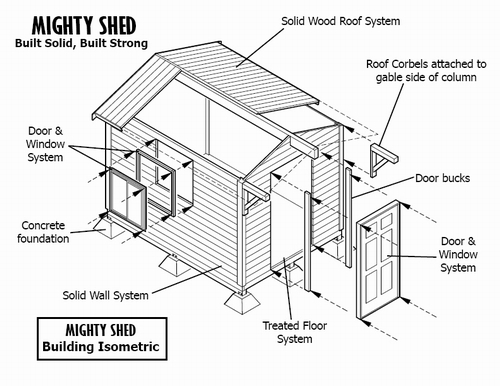 The common denominator to all MIGHTY CABANA's & MIGHTY SHED's is the system in which it is constructed. 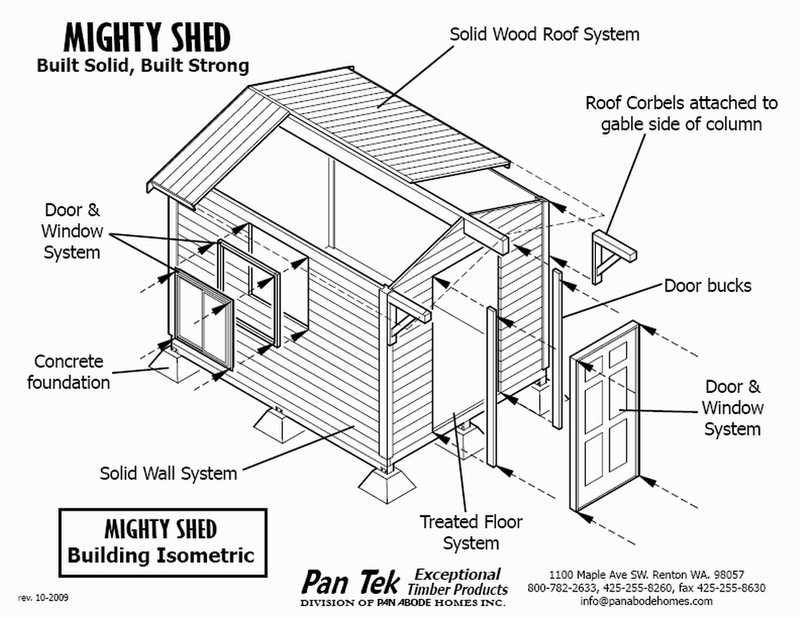 Our CABANA's & SHED's utilize our patented "MIGHTY WALL" Building System for exceptional strength and durability. Our MIGHTY WALL is configured around a "Solid Wall" philosophy that solid wood construction naturally exudes massive structural integrity as well has a unique appearance when compared to our competitors who construct their buildings from sticks and plywood. Floor System: MIGHTY CABANAs & MIGHTY SHEDs are built starting with a treated Wood Floor system to protect the floor from the elements. We also supply Girders underneath so all you need to supply is the Foundation Block. All wood members have been precut. Wall System: MIGHTY WALL is the difference. Our wall system is comprised of 2x6 T&G Spruce/Fir Wall Timbers joined together with pre-dado'd Doug Fir Vertical Columns. Wall timbers are inserted into the channels in each vertical column, and each timber is glued to the one below and screwed to the columns. Roof System: Our Roofs are a "Beam & Deck" system for quality appearance and ease of construction. (No having to fool with stick rafters and plywood.) Set our solid Roof Beam and then place down each precut Roof Board on Beam & Wall, screw it down. Trim, then cover with supplied felt paper and apply 30yr Composition Roofing and its done. Window & Door Systems: We supply quality warranted Vinyl Windows, Metal Man Door, Vinyl Sliding Glass Door, or DBL "Site Built" wood door. Both Doors and Windows are fixed to a "Buck" system that reinforces the openings. 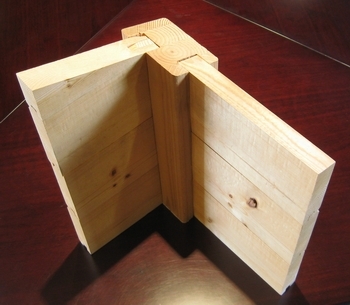 Trim & Fastener System: We supply Western Red Cedar Trim for all the Windows, Doors, & Roof Systems. All hardware is furnished. Stainless Steel Nails for the Cedar Trim, Zinc Dichromate Screws, Metal Hangers and Brackets, & Metal exposed Brackets and Hangers. Assembly Instructions: Plans, Material List, and Construction Guide is supplied. Also call our toll free number Customer Support during business hours and we will help.